As the days get shorter and there is less sunshine, our immune systems typically can take a hit causing a "cold and flu season." Especially if you have kids in school, follow these tips to keep their immune systems strong. 1. Wash hands regularly -- when you get home from an outing, before eating and after sneezing or coughing. Do not use an anti-bacterial soap. We like Dr. Bronner's, Honest Company or Method brand soaps. If you are on the go, find a safe hand sanitizer such as Honest Company's hand sanitizer (also available in a convenient spray, available at Kehres Health & Chiropractic, Target or Honest.com). 2. Use Xlear nose spray -- Dr. Elisa Song, MD says "one of the MOST preventive things you can do is to irrigate your and your children’s nasal passages with Xlear nasal spray at the end of every day, and after any potential exposure (work, school, playgroups, plane travel, etc.). This is a saline nasal spray with xylitol and grapefruit seed extract, both of which have antimicrobial properties. After exposure to a virus, the virus tries to invade and multiply in your nasal passages for at least 1-2 days before you develop any symptoms. Nasal irrigation can wash away viral particles before they have the opportunity to take hold, and thereby prevent many infections from happening in the first place!" 3. Take Vitamin D3 supplements -- as we get less sunshine in the fall and winter, it can deplete our immune system. There are many great kids' Vitamin D3 supplements on the market. Make sure they are GMP Certified (Good Manufacturing Process). Read more about the benefits of Vitamin D3 here. 4. Get plenty of sleep -- Sleep is when your body heals. Lack of sleep can cause inflammation, which can cause disease and illness. Do everything you can to reduce light in the bedroom (no tablets or tvs, use blackout curtains). 5. Decrease sugar, increase fruits and vegetables -- holidays, birthday parties, school snacks and more can sneak in more sugar to your child's diet than you would like. It's ok to have treats once in a while, but be sure they eat healthy food before these events and keep only healthy food at home. Kids do not need juice, stop buying it and it is an easy way to reduce sugar in their diets (while saving you money at the grocery store). Veggie shakes are a great way for our kids to get extra fruits and vegetables. Every time you purchase something you are voting for that product. Companies watch these trends and make decisions based on what the consumer wants. 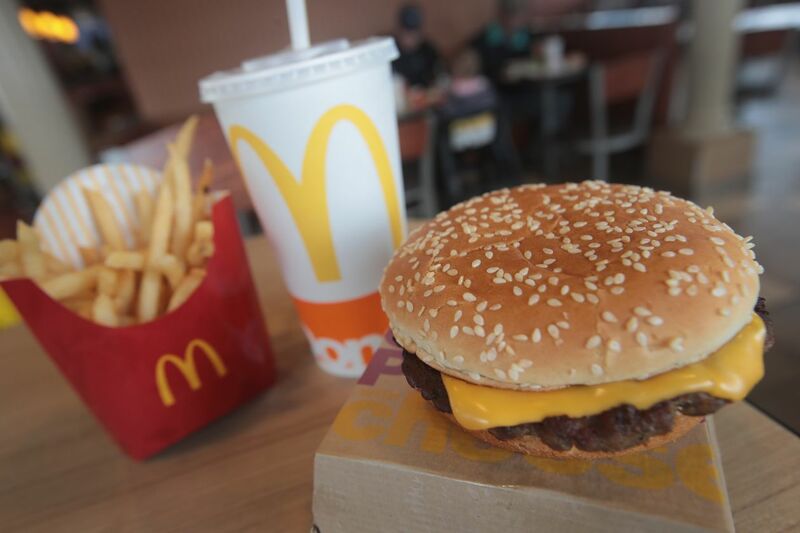 McDonald's knows that people want healthier food and this is a step in the right direction, a small step but it's still a step. If everyone protested and said they would only eat pasture raised grass fed meat then McDonald's would carry exactly that. Grains are not healthy, period. 1. They are inflammatory, they have a poor Omega 6 to Omega 3 fatty acid ratio. This ratio promotes inflammatory eicosanoid production which leads to disease. 2. They contain lectins which are a type of sugar protein called a glycoprotein, this can cause leaky gut syndrome and chronic irritation to the gut leading to auto-immune problems. Cooking doesn't deactivate lectins, which many people claim, the only way to break them down is to soak them and then pressure cook them. 3. They contain gluten. Most people think that gluten only causes digestive problems but it's involved in many other negative reactions in the body as well. It's reactions are simular to lectins. One example is that when it binds to cells inside the digestive tract it creates a substance called zonulin, this disrupts the tight junctions between the lining leading to leaky gut syndrome, which leads to auto immune reactions. 4. 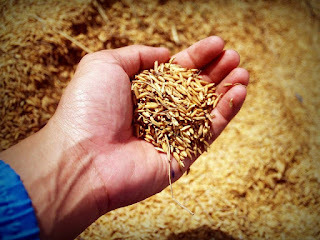 Grains are very acidic for their overall composition. Typically foods that have a high protein content are acidic because of the metabolic breakdown of protein which gets balanced out by fruits and vegetables, but grains are very low in protein comparatively which makes them one of the only foods with this makeup. 5. Calorie for calorie grains lack nutrient density. If you keep calories equal the same amount of broccoli has 36 grams of fiber and 2748 mg of potassium while whole grains have 4 grams of fiber and 144 mg of potassium, romaine lettuce has 39 grams of fiber and 4638 mg of potassium. Potassium is used because typically things that have potassium also have an excellent all around nutrient value. 6. They are loaded with carbohydrates and are broken down into sugar within seconds of eating them. Only a few pieces of bread or bowls of cereal is typically going to be more carbs than someone should be eating for a whole day. This leads to weight gain and dis regulation of insulin and glucose levels internally. Would you like an hour of daily exercise without actually exercising? The way you eat could be equivalent to an hours worth of moderate intensity exercise every day. This study showed that when total calories were kept the same a low carbohydrate diet (10%) with moderate to high fat (60%) burns 300 more calories per day than a high carbohydrate (60%) low fat (20%) diet. This difference in diet alone is equal to 1 hour of moderate intensity exercise per day. Doing this type of diet in conjunction with exercise is going to magnify your results. 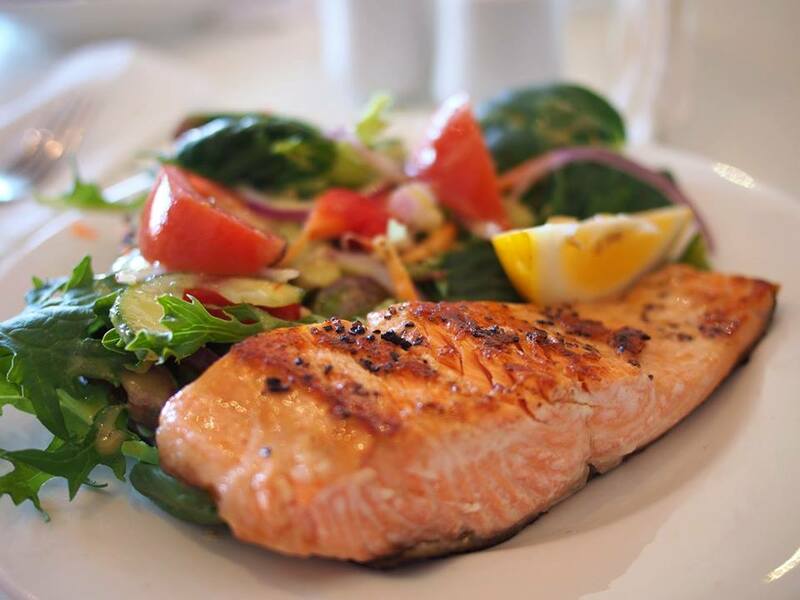 However you always want to make sure to have control of your diet before incorporating exercise. Fluctuating levels of sunlight are natural throughout year, but during the fall, winter and spring most people aren't getting nearly enough sunlight due to the lack of outdoor activity and decreased exposure to sunlight. Sunlight increases the amount of Vitamin D-3 produced inside your body. 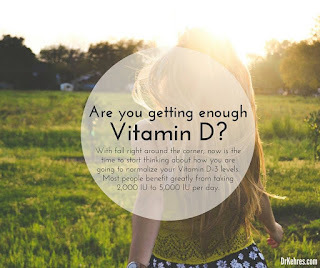 Vitamin D-3 is actually a hormone that plays many vital roles in our bodies, especially in regulating our immune system. Flu season follows the cycle of the sun around the world. Meaning anywhere in the world where sunlight is the least seasonally people are getting sick. Research has shown that lack of Vitamin D-3 is one of the big reasons for this. With fall right around the corner, now is the time to start thinking about how you are going to normalize your Vitamin D-3 levels. Most people benefit greatly from taking 2,000 IU to 5,000 IU per day. Getting your levels tested is the only way to know exactly where your levels are at. Share this for anyone who suffers from seasonal sickness! 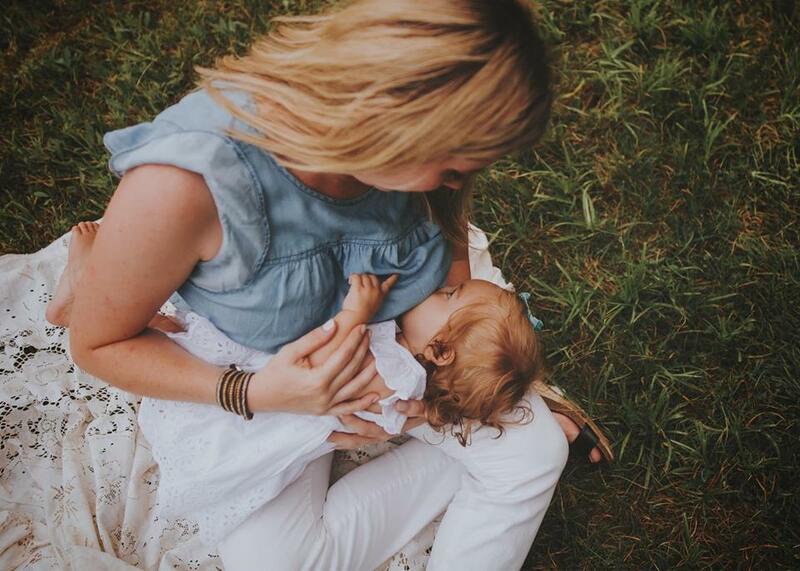 Did you know that the fat in breast milk is made up of 50% saturated fat? Basically the same amount as butter, lard and beef tallow? But every month on the news a new article comes out saying how bad saturated fat is for us and that it leads to heart disease, cancer and all sorts of other health problems. What's next, they are going to tell us to stop breastfeeding because it's unhealthy?! Every time you eat you are either getting healthier or sicker and the majority of people are getting sicker by the day. People with type 2 diabetes don't spend their retirement traveling the world and spending time with their grand kids, they spend it going from doctor to doctor and pharmacy to pharmacy. 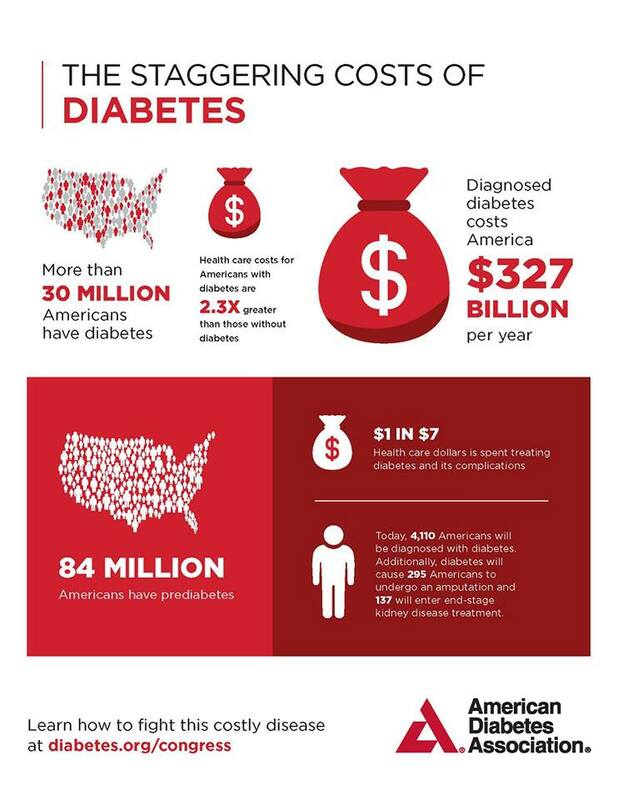 "The American Diabetes Association (Association) released new research on March 22, 2018 estimating the total costs of diagnosed diabetes have risen to $327 billion in 2017 from $245 billion in 2012, when the cost was last examined. People with diagnosed diabetes incur average medical expenditures of $16,752 per year"
-Lost productive capacity due to early mortality ($19.9 billion).